With a height of 170 meters, the Potala Palace is the most magnificent structure all around Tibet. Located on a hill to the north side of the center Tibet Lhasa city, the ancient palace is the highest palace and the soul of great Tibet. Once Potala Palace was the winter palace of the Dalai Lamas and now it still the center of Tibet and a symbol of Tibetan Buddhism. With an elevation of 3700 meters, the Potala Palace is a pearl on the Qinghai-Tibetan Plateau. The grand palace was built on the top of a hill called red mountain with an area of 360 thousand square meters. 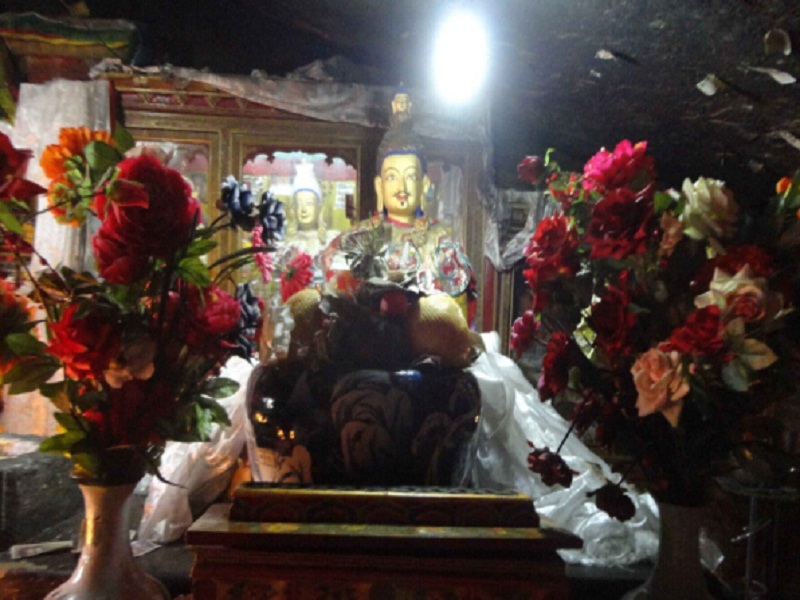 According to the tale, there is a sacred cave in the red mountain where Avalokiteshvara (the embodiment of the compassion of all the Buddhas) lived. It’s said that Emperor Songtsen Gampo once practiced yogis and meditation in the same cave in the seventh century. 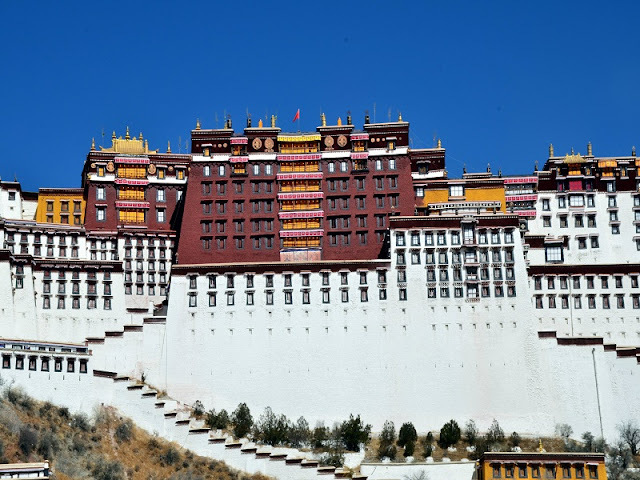 Not long after, the Potala Palace was set up by Songtsen Gampo for the marriage with Princess Wencheng. Most of the ancient buildings were destroyed in war after the collapse of Tubo Dynasty founded by Emperor Songtsen Gampo. When Gushri Khan became the ruler of the plateau in the 17th century, a vast scale of reconstruction was complete by more than 7000 workers and 1500 artists and craftsman. 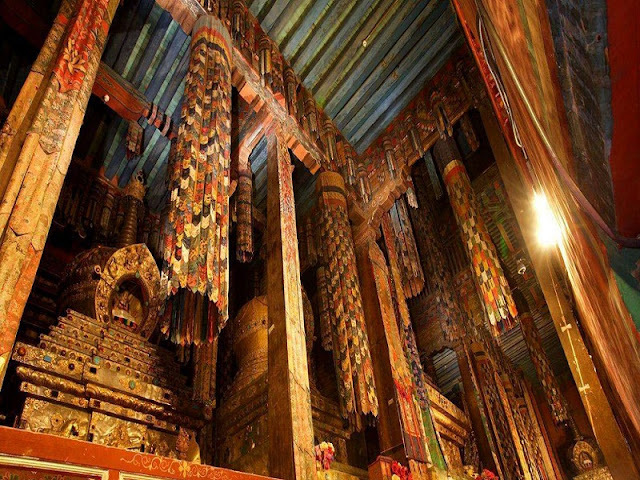 Especially two palaces called the Potrang Karpo (White Palace) and The Potrang Marpo (Red Palace) build for the fifth Dalai Lama are masterpieces in this period. Some extensions added in the following hundreds of years especially a stupa built for 13th Dalai Lamas in 1936. It’s fortunately that the Potala Palace survived from Great Cultural Revolution in the 1960s. After hundreds of years of stormy trials, the sacred palace becomes a scale as we can see today. The Potala Palace first got its name can trace back to 11th century. It said that “Potala” maybe derives from Mt. Potala, a mysterious mountain in southern India where the Bodhisattva Chenresi (Avalokiteshvara) ever lived. 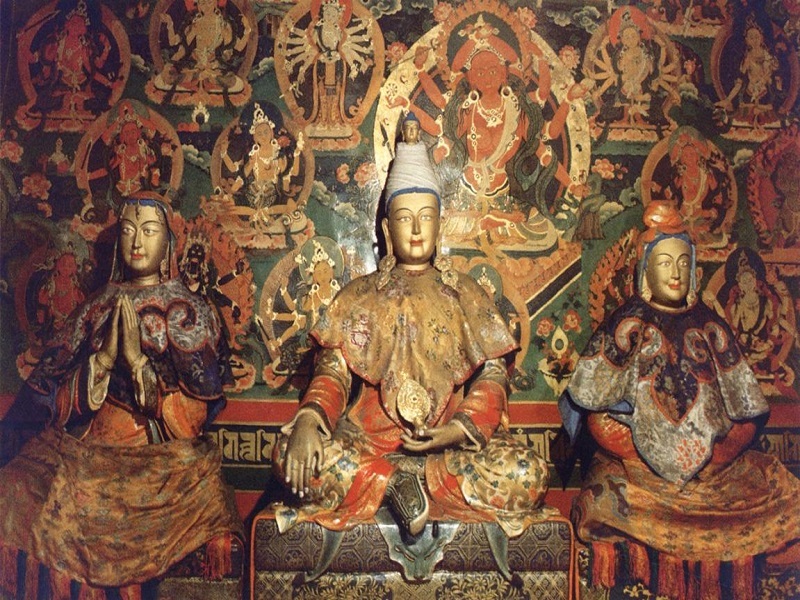 The Emperor Songtsen Gampo who have been considered as the incarnation of Avalokiteshvara give birth to the Potala Palace. The Potala Palace is a huge architectural complex with a total covered area of 130 thousand square meters. There are so many exquisite artworks such as statues of Buddha, frescoes, and Thangka in the palace. It’s the winter palace of Dalai Lamas for its variety of functions. 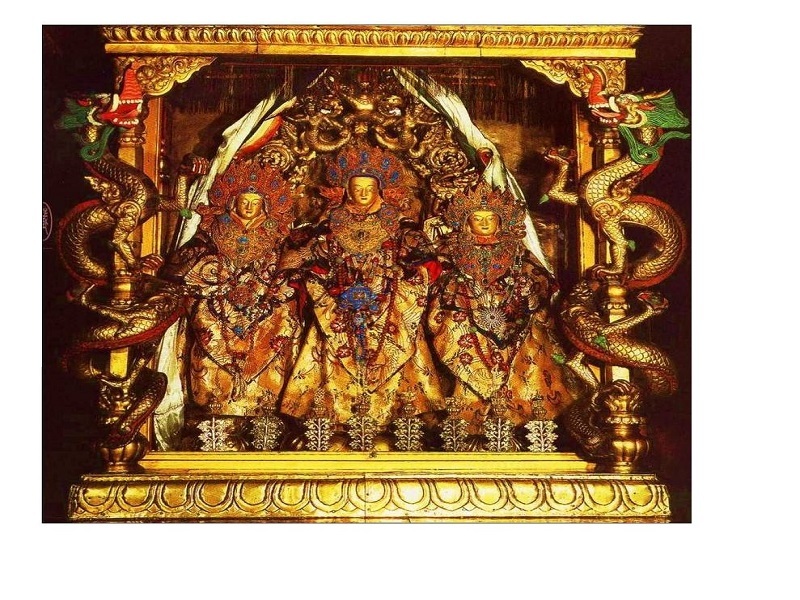 Also, it was the place where the kings of Tibet deal with political affairs and all ceremonies were held in the past. It holds a religious training center for monks and those who believe in Tibetan Buddhism. 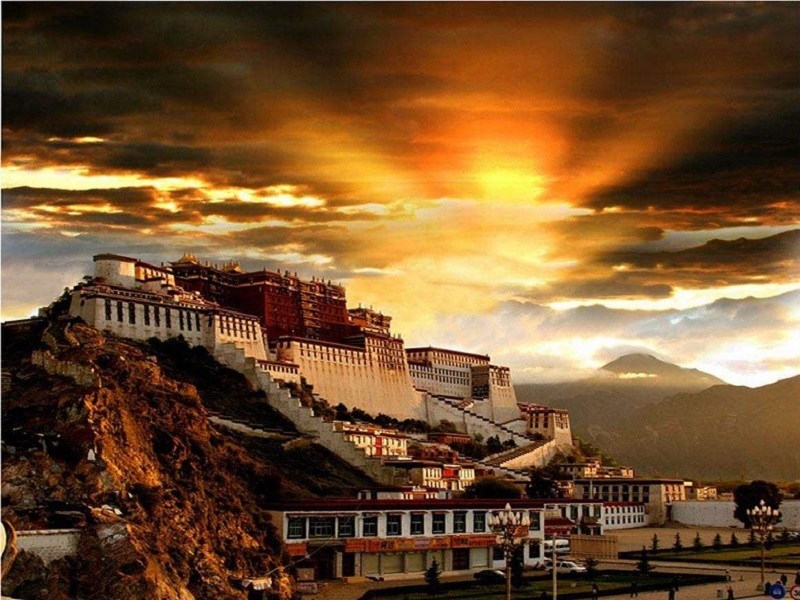 The Potala Palace is one of the most important shrines in Tibet as the burial site of Dalai Lamas. There are two small chapels in the White Palace, the Phakpa Lhakhang, and the Chogyal Drubphuk. Dating from the 7th century, these holy chapels are still standing through thousand of years. The most sacred statue in The Potala Palace, the Arya Lokeshvara, is well kept in the Phapka Lhakhang. And it attracts lots of Pilgrim every day.